Here is my major landmark! both start from the same place and diverge later. sightings of leopard. Well worth a visit. I am just hoping that the resident baboons don’t decide to come down the hill and enter my apartment as I often leave my door wide open as I sit here and type or cook meals. Previous Article Happy Independence Day! Super photos Cheryl – soundalike an awesome adventure!! Have fun and take care. 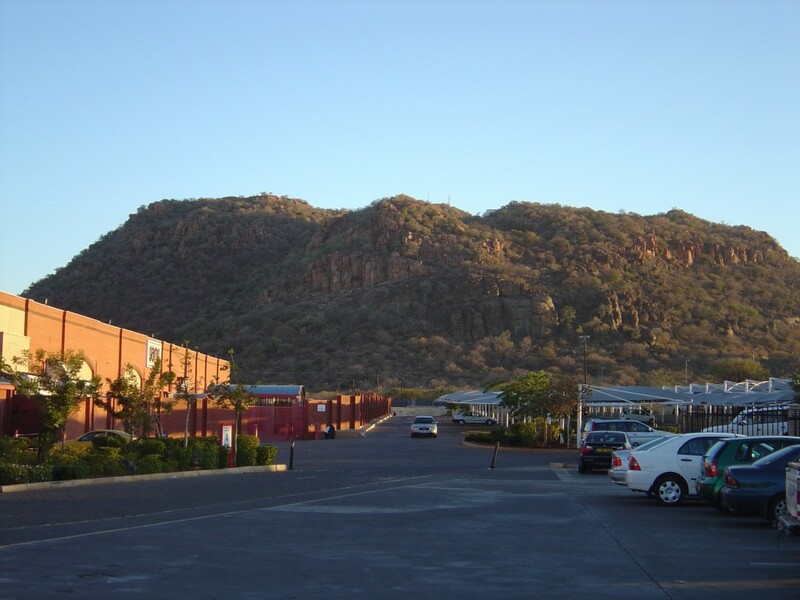 Lobatse Road … ahh I know it well … from the No. 1 Ladies’ Detective Agency. What does it mean that one’s car is unprotected? From what? That Sandra is a good question and it means unprotected from thieves which would include my friends the baboons. As I witnessed the other night at our bbq (braai in Setswana) the monkeys even were willing to steal cooking food right off the very hot grill. In fact one burned his hand trying to steal a veggie burger that was being grilled. As I live at the foot of the hill and constantly leave my door open when I am home, I also need to learn to shut it so I don’t have any baboon vistors. Gabs also like Charlottetown has those who maliciously break into vehicles to steal electronics, purses, etc. It is always better to be safe than sorry like anywhere else in the world and not leave valuables in a locked car. Hope that answers your question!